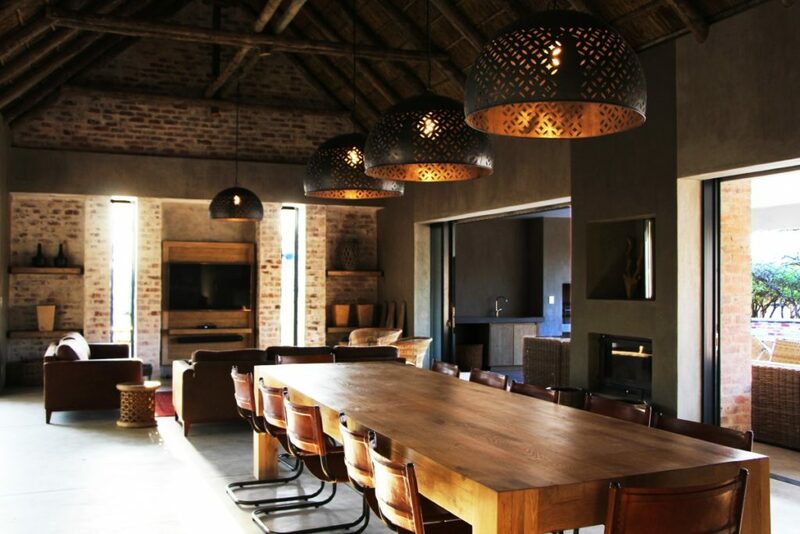 The Main Lodge-sleeps 6 Adults plus 4 Adults in the Safari de lux Suite (total area of full lodge -500sqm). 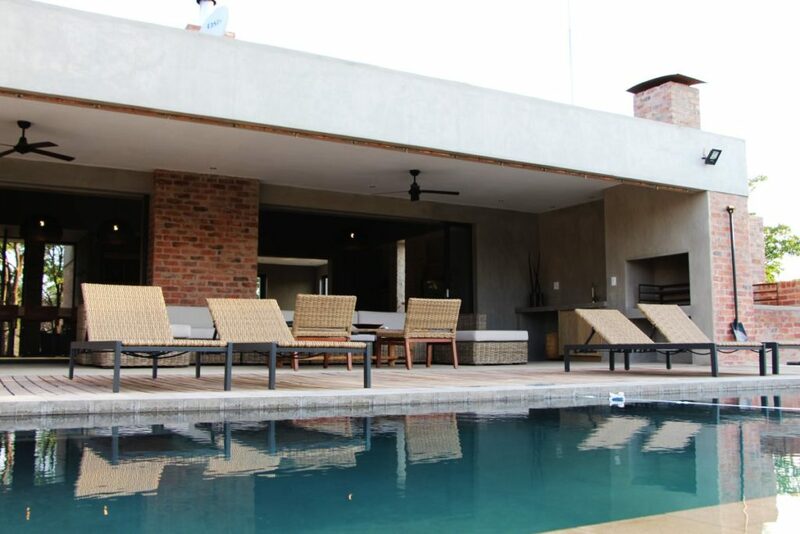 The Full Lodge consists of a large entertainment area with a kitchen, lounge and dining room that lead onto a large undercover patio overlooking the lap pool. The Main lodge has three executive bedrooms with king size extra length beds. Bedrooms are connected via wooden walkways to the entertainment area. All the bedrooms are en suite with bath and showers overlooking the bush. Each bedroom has its own private balcony. Bedrooms are air conditioned, with their own TV with a library of movies, mini bar, coffee station, hairdryer and complimentary toiletries. Main lodge guests have the exclusive use of the lap pool and BOMA area. 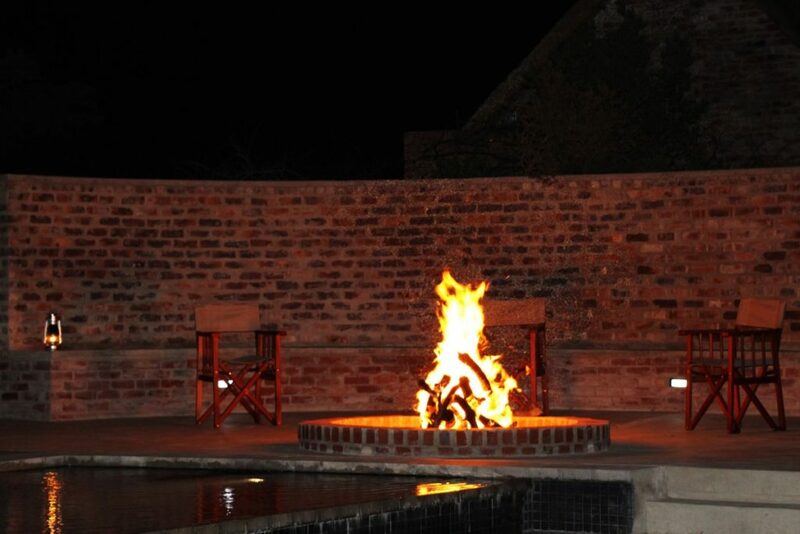 The Full Lodge also includes the Self-Catering Safari unit that sleeps 4 Adults. It consists of two de-lux bedrooms, each en suite. The Bedrooms have either a king-size bed or two single beds. All beds are extra length – configuration can be requested at time of booking. The Self-Catering Safari unit has its own self-contained kitchenette, lounge and dining room leading onto a wooden deck overlooking the bush. In the lounge area is a TV with DSTV. Each bedroom has its own private wooden deck. Bedrooms are air-conditioned. 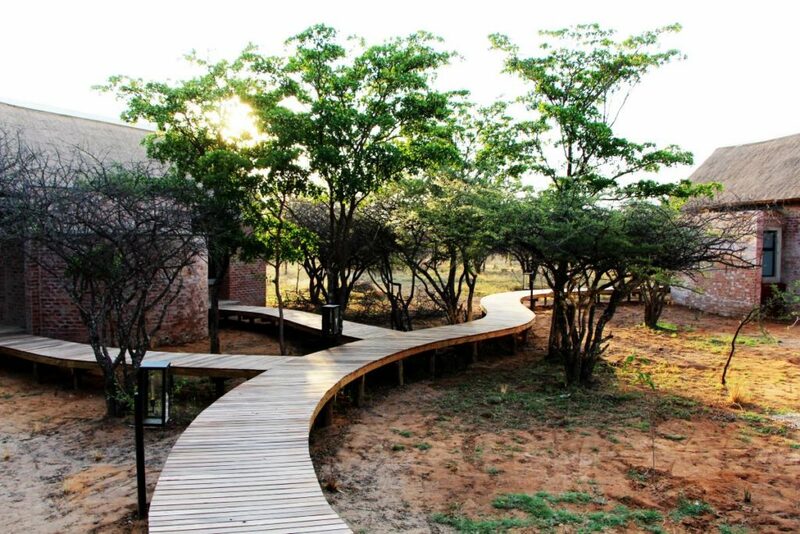 Cost: R11000 per night for the Self-Catering Full Lodge for 10 Adults. Included in the price are services of a Chef and Butler to prepare meals and serve you during your stay. 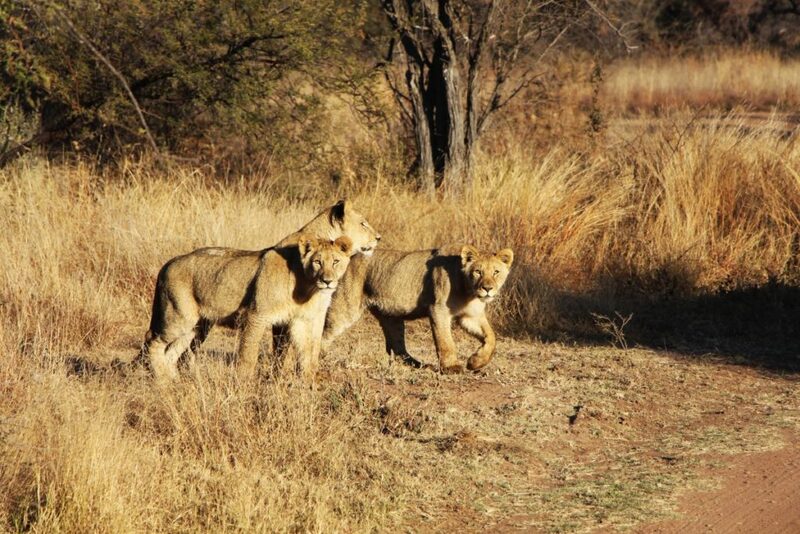 One game drive per person per day is included in your stay. Rooms are serviced daily.